Unagi Travel offers tours for your stuffed animals, and no you can't come. Just because you don't have time to take a vacation, doesn't mean your stuffed animal should suffer. 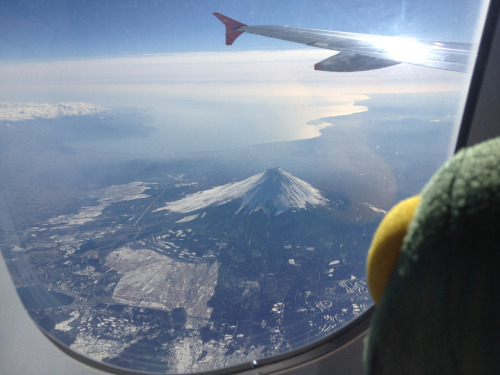 Unagi Travel organizes tours for your plush buddies throughout Japan, Europe, and the United States! Don't believe it? Unagi documents the whole tour, uploading pictures daily that allow owners to keep in touch with their furry friends. "Hey mom look at me!" "Make sure you get the bridge in the back"
"So this is what all the hype is about?" "I imagined it being so much bigger"
While they're not busy touring, the stuffed animals have some downtime to hang with new friends. Occasionally even getting a little rowdy. Once the tour is over, you should expect your stuffed animal home within 7-10 days. Just think how excited you'll be to see each other! So with the holiday season approaching, give your stuffed animal what it really wants.